Coming to the Tour de France series fresh I didn’t really know what to expect. I assumed Tour de France 2018 would be somewhere between a racing game, and a management sim. Turns out I was right. But it’s hard to say exactly where on that spectrum Tour de France 2018 sits. It’s not really a racing sim. You can’t crash or go off track, though braking and turning are still advised. You can lock yourself into following another rider, which certainly helps with the twisty downhill sections. No, Tour de France is certainly more at the management end of the spectrum. From managing the team, it’s contracts and training routines before the season starts, to managing the riders through the race. You can switch between any of the riders in your team during the race, even on the solo career mode where you should be focusing on your own, created rider. And while controlling one rider you can also pass team orders onto the others. Working as a pack you are looking to maintain your key riders to use them in either the sprints or hill climbs. This is where the key gameplay comes in. You can push your riders pace as you try to beat the leaders of the pack to the top of the hill, or the end of the sprint section. Managing your riders stamina is key though, and there are energy pastes that you can use over the course of the race, and particularly during the points scoring areas, to maximise the performance of your riders. I know I haven’t made Tour de France 2018 the most exciting of games. That’s ok for simulators though. There are plenty of simulators that aren’t exciting. But they usually at least then have an accurate representation of what they simulate. Or look really impressive. Tour de France 2018 does at least have an accurate representation of the routes of the actual Tour de France. Each stage is mapped out as accurately as you would hope for. They don’t, however, look stunning. The scenery is fairly bland. The crowd at the side of the road are a limited number of clones, that slide into position for their animations. Even the riders all look identical. This is fine during the race, when all you see is their backs and they’re all wearing helmets. But at the end of each stage the various jerseys are presented in a small cut scene. Not even the famous names in the sport have different character models here, so you can’t tell one from the other without looking at the UI to see who won! 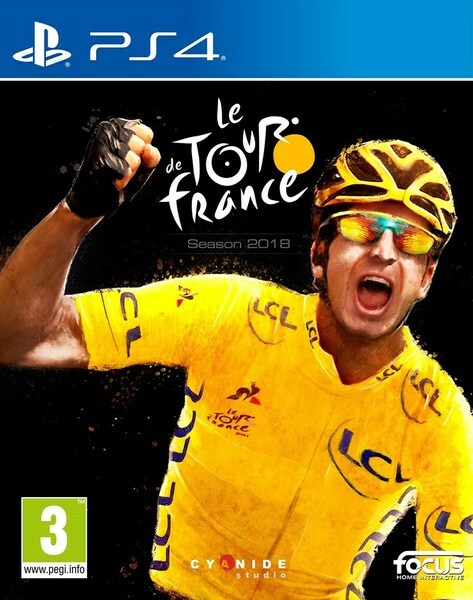 I really can’t recommend Tour de France 2018 unless you are avidly into the sport and simply appreciate the fact that there is a video game for you.